SCNM: SomaVeda Integrated Traditional Therapies®: Indigenous Ayurveda, Yoga Therapy, Thai Yoga, Traditional Thai Massage, also known as Thai Yoga Therapy, Nuad Thai or Nuad Boran, is an ancient sacred, religious/ spiritually based, vitalistic and holistic healing art that can be learned and practiced by anyone with an open mind, compassionate heart and a desire to help others. Our SomaVeda® Thai Yoga Therapy Practitioner Certificate Program (CTP1) includes emphasis on indigenous, traditional, natural and/or Native American Medicine, Religious Therapeutics and healing ceremony. All courses are hosted on our beautiful 5 acre NAIC Sanctuary in Brooksville, Florida. SCNM: Thai Yoga Center offers four different professionally recognized Certificate Programs and Five College Degrees! Practice legally and safely with our program! Religious Therapeutics are not Massage. No Massage or Massage Therapy License Required under NAIC! We teach Legal Guidelines and Legal Marketing Practices in every class! Who is eligible to apply for the CTP and are there prerequisites? Advanced Thai Yoga Certified Practitioner Program:CTP (164 hour residential intensive). This 17 day program, will cover four levels of the Basic Professional Thai Yoga Certification Program plus fifteen additional breakout and/or supplemental courses described below. Level 5: Clinical Applications and Development: Specific programs for Clients based on Ayurvedic Assessments and Guidelines. – 20 hours = 164 Core Contact Hours. SCNM: SomaVeda® Level Five also includes the SomaVeda® Legal Guidelines and Practices for ministers and Healing Professionals Course work. The full NAIC Seminary tuition donation for the Certified Thai Yoga Practitioner Program (CTP1) including all core course work and required adjuncts is $4,695.00. (Not including housing and book fees.) 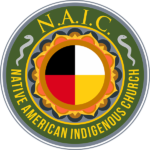 Church/Seminary donations to NAIC are Tax deductible! However, with an NAIC Grant/ Tuition Scholarship you could save up to 90% of the actual tuition! PLEASE NOTE! If finances are an issue in attending we recommend that you apply for one of our generous NAIC Tuition Donation Scholarship Programs. Special!! in addition to the amazing core curriculum Twenty Seven (27) additional protocols will be included in this awesome training at no extra fee! These courses alone could easily cost another $2,500.00 if taken separately. Why pay extra or separately for these valuable courses somewhere else? We will include them at no additional charge! Why are we offering so much for so little? Get your SomaVeda® Thai Yoga Basic Practitioner Certificate in the SomaVeda® Certified Thai Yoga Practitioner Program 200 Hour Practitioner Training with Aachan, Dr. Anthony B. James and SCNM: Thai Yoga Center Teachers Today! 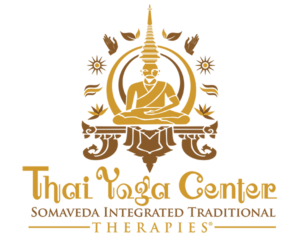 Discounts (when applicable) on further intermediate and or advanced SomaVeda® Indigenous Thai Yoga and or College Degree programs at the Thai Yoga Center through the SomaVeda College of Natural Medicine. Approved by the National Certification Board for Therapeutic Massage & Bodywork (NCBTMB) as a continuing education Approved Provider. Prerequisite Eligibility for intermediate, advanced programs such as Ayurveda Wellness Counselor, CTP3, Ayurvedic Health Counselor, Ayurvedic Yoga Therapist and SomaVeda® Teacher Certificate Programs as well as SCNM Seminary/ College Degree Programs: ASA, BSSc., BASSc.M, BASSc.YT, DSNM and Ph.D. Ayurveda Medicine. The SomaVeda® CTP program is a required part of our SomaVeda® Thai Yoga Teacher Certification Program (TCP), 500 Hr. Ayurveda Wellness Counselor/ Ayurveda Lifestyle Consultant (ALC-AAPNA), 650hr. Ayurvedic Health Counselor and our 1008 Ayurvedic Yoga Therapists Certificate (AYT-AAPNA) Programs. Additionally, the CTP1 course series credits hours towards the SCNM College Degree and Diploma Programs: 2,595hr Practitioner of Natural Medicine Ayurveda, Associate of Sacred Arts in Traditional Natural Medicine (ASA), Bachelor of Sacred Science (BSSc.) in Natural Medicine, Bachelor of Applied Sacred Science in Yoga Therapy, Bachelor of Applied Sacred Science in Massage Therapy as well as our comprehensive /Traditional Naturopath/ Doctor of Sacred Natural Medicine Degree (DSNM/ ND(T)) Program and Ph.D. Ayurveda Medicine Doctoral Degree. Not Included: CTP1 Materials fee is $269.00 (January, March, June 2018 only)(Post June CTP Book fee is $235.53) for all workbooks, text, posters and DVD required. Food and Meals not included. There is a separate meal plan available listed with housing. Electrical for Camping and or Kitchen use fee. Personal medical consultations and or treatments of any kind with Dr. James or other TYC staff. Personal medical or therapeutic treatments/ consultations are available by appointment at additional expense. See NWS Clinic Menu for details. 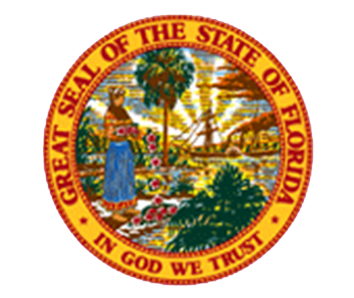 Native American Indigenous Church College of Natural Medicine operates in compliance, as a degree granting institution through exemption, by the Florida State Board of Independent Colleges and Universities under Section 1005.06 (1) (f), FLA Statutes. The state, like other states, does not require accreditation or theological accreditation for our religious education based programs. SomaVeda Integrated Traditional Therapies®, SomaVeda® are a Federally Registered Trademark/ Servicemark and proprietary Intellectual Property, All World Rights Reserved. LearnThaiYoga Announces OnLine Learning Platform!